CHECHESMITHNATION : Trend that Rocks: Komee's Style! 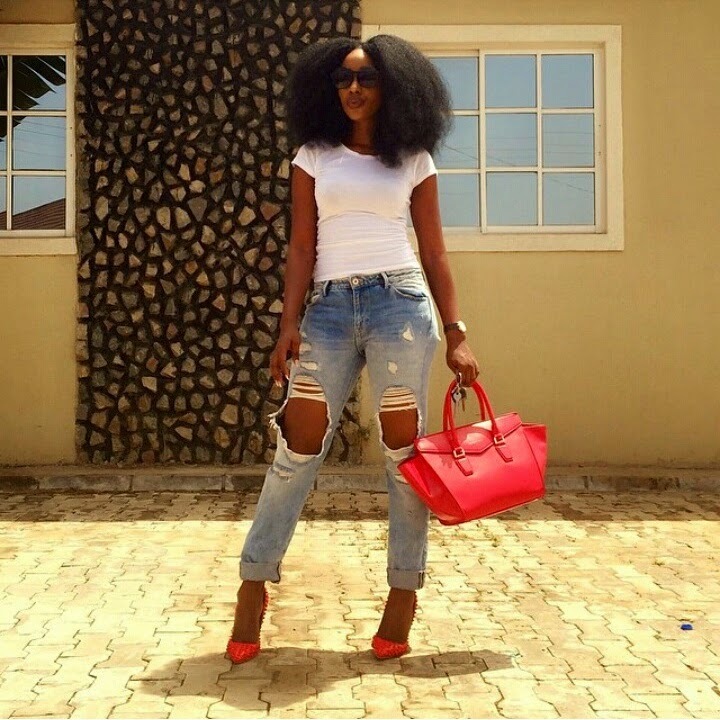 Beautiful Fashioni-star Komee,was spotted looking all fly and chic in this roll-up ripped jeans...she went on to pair her look with the cute white top and a little pop of color coming from her heels and handbag. We are so in love with her crotchet braids and the fab look it gives.